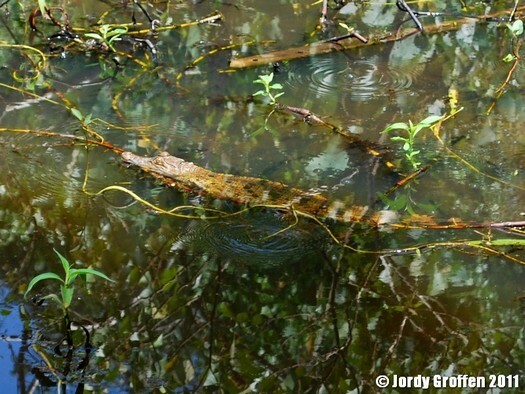 Inside the Norhtern Sierra Madre Natural Park, in an area designated as the Crocodile Management Zone, there is a small lake called Dunoy Lake. Here wild crocodiles still survive. 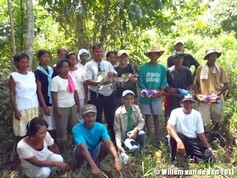 On September 24, 2011, staff of the Mabuwaya Foundation Inc (MFI), together with staff of the Local Government of San Mariano, travelled to this lake in sitio Dunoy, barangay Dibuluan, to release crocodiles back into the wild. The Philippine crocodile, scientific name Crocodylus mindorensis, is critically endangered and that's why the Mabuwaya Foundation is working together with the LGU San Mariano and the Department of Environment and Natural Resources (DENR) to protect this species in the wild. 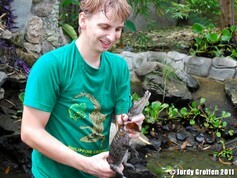 In barangay Minanga of San Mariano is located the Municipal Philippine Crocodile Rearing Station, where hatchling crocodiles are reared for two years before releasing them back into the wild. 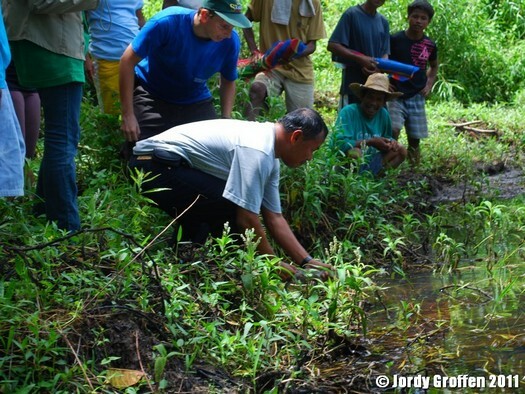 Chairman of the comittee on environment Pascual personally released two crocodiles, one is named 'Dideronsis' and a second juvenile crocodile was christianed 'Princess Delaida'. 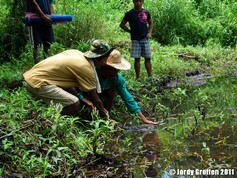 Donna Labuguen, from the Municipal Environment and Natural Resources Office (MENRO), also released a crocodile named 'Great Crocodile'. Finally the community, represented by Romy Aggabao and Bantay Sanktuwaryo Victorino Montanes, released 'Romy'. 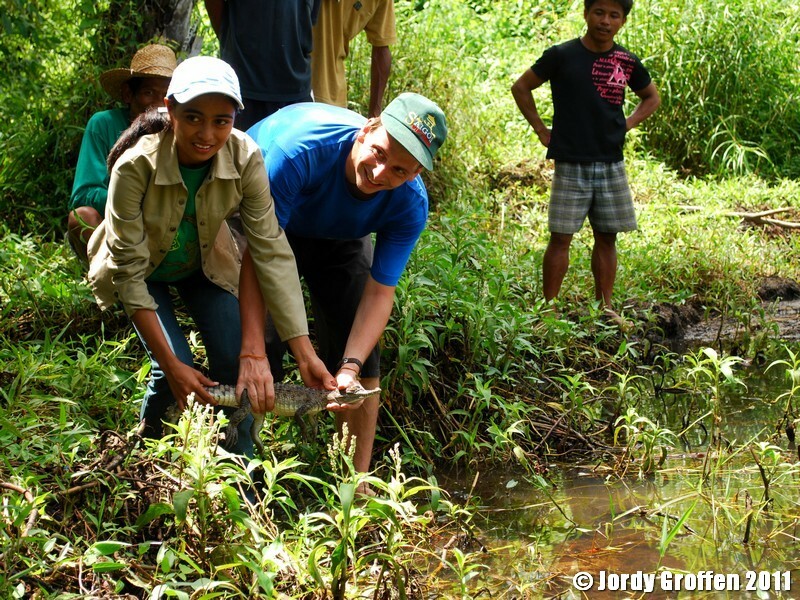 After the ceremony the group went back to centro while several MFI staff hiked a bit further to release 6 more juveniles in Pagsungayan Lake, deeper into the Sierra Madre forest. Released head-started juvenile Philippine crocodile 'Dideronsis' swimming into Dunoy Lake; back into the wild!